SO WHAT IS THE FOTO STUDIO? 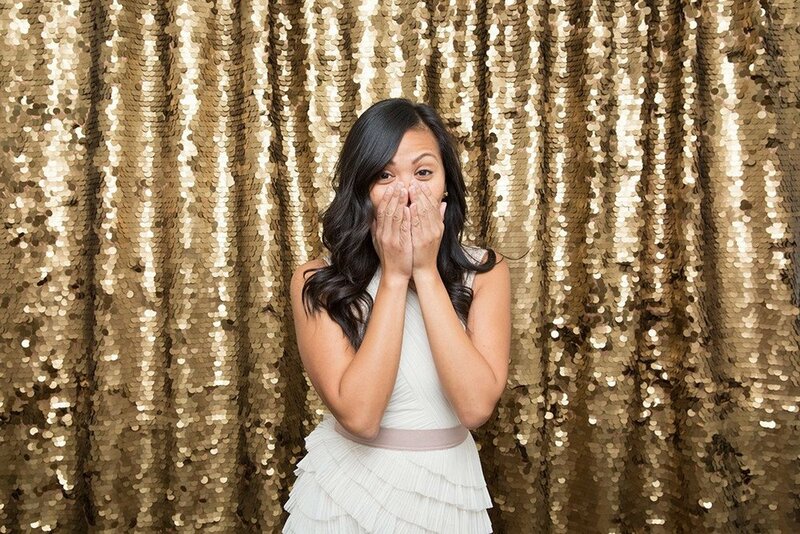 The Foto Studio is a modern take on the classic photobooth that you see in the mall. It's a luxury experience that guarantees plenty of smiles, fun and laughter at your event. Expect awesome photos that are unique to your event, and plenty of memories to share. Our open air option consist of just the kiosk above and a backdrop. This a great option for venues with not much clearance for the inflatable booth and it is also better for larger group photos. Our inflatable booth is great for large rooms that can accommodate the attraction. The uniqueness and colors of the giant booth add a fun and whimsical experience to your event. There is honestly no better way to describe it besides, this thing is freaking awesome! We have gold, white, and silver backdrop options available. Ask us about a specific backdrop idea also! We are constantly looking to add to our collection! You can even use your own backdrop! Only the best! Our photographer created Photo Booth ensures that your guests will be dying to use the images to update their profile picture and hang them on their fridge for years to come! We create a custom layout design to fit your event theme. Layouts can hold up to 4 pictures. We will arrive at your venue with a table full of props. We carry an eclectic range of weird accessories including hats, glasses, masks, emoji faces, and more. Feel free to ask about custom props also! Instant gratification is priceless. When finishing a photo session, your guest can easily share images via Facebook, Twitter, E-mail, and more. Although GIFs have been around since the birth of the internet, they have really exploded into popularity over the last few years. Set your event apart by having gifs from the event floating around.